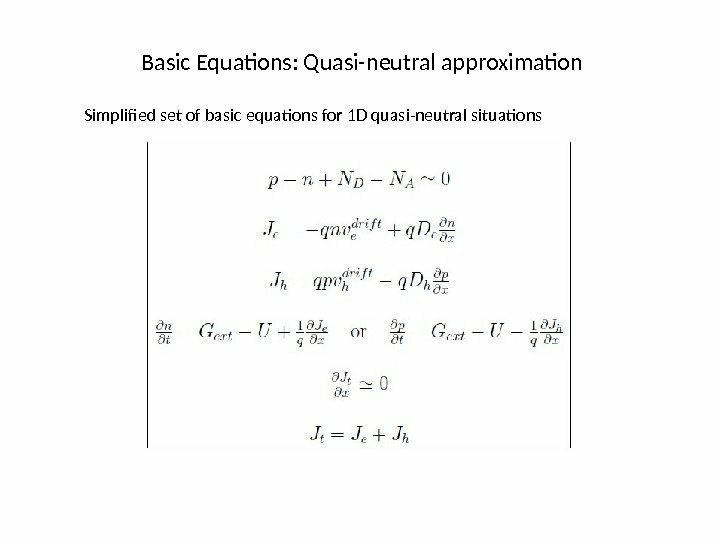 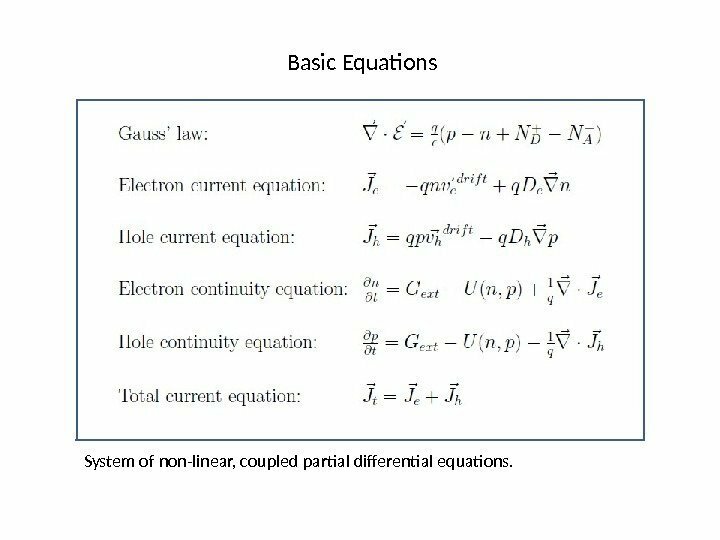 Basic Equations System of non-linear, coupled partial differential equations. 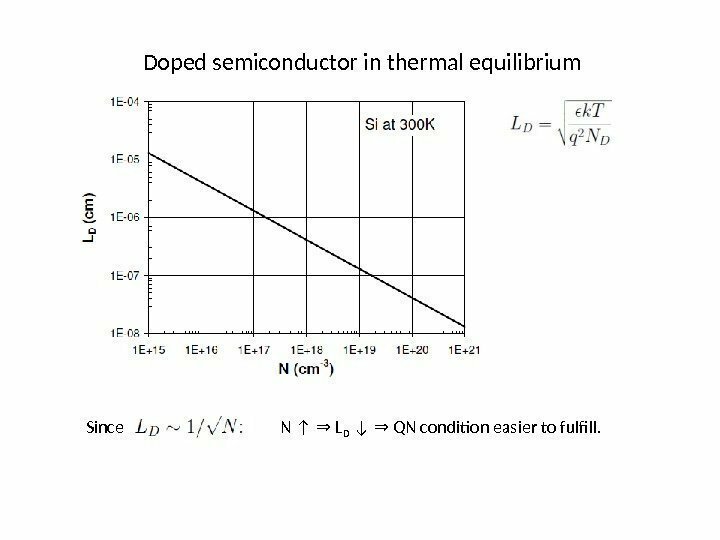 Doped semiconductor in thermal equilibrium Equilibrium carrier concentration: general solution in the presence of doping gradient (n-type) Relationship between E o and n o in thermal equilibrium (from J e =0): One equation, one unknown. 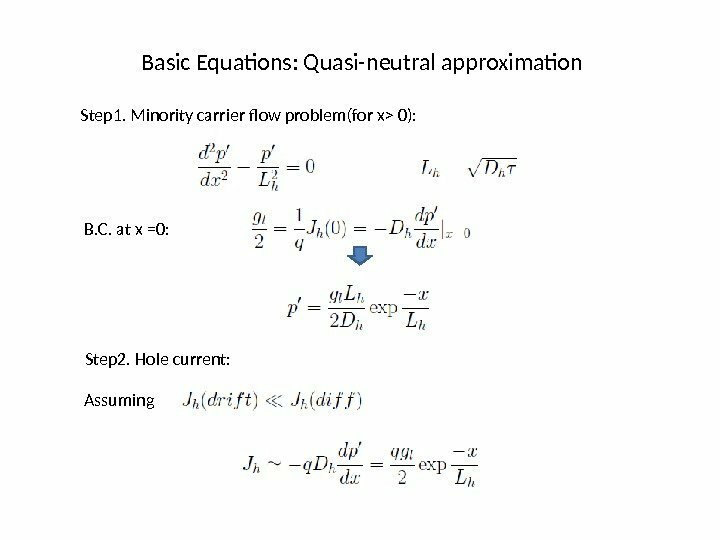 Given N D (x), can solve for n o (x) (but in general, require numerical solution). 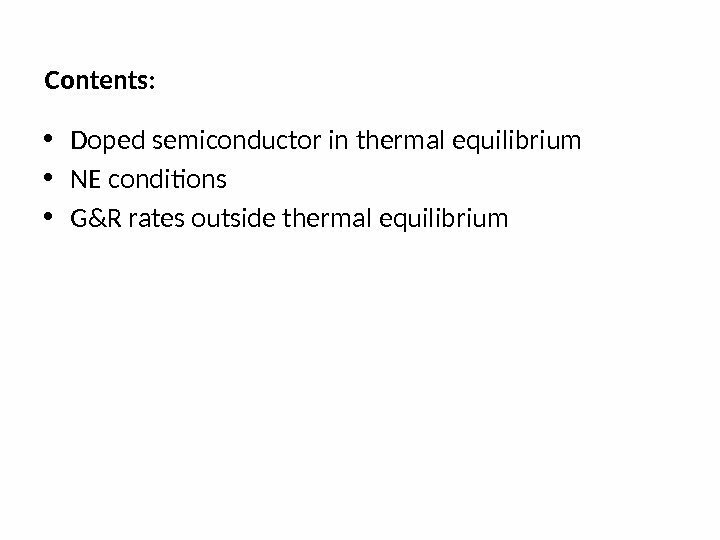 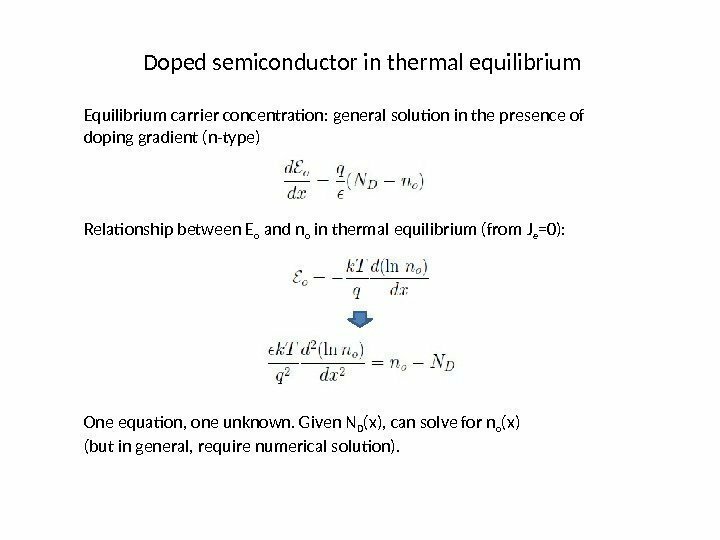 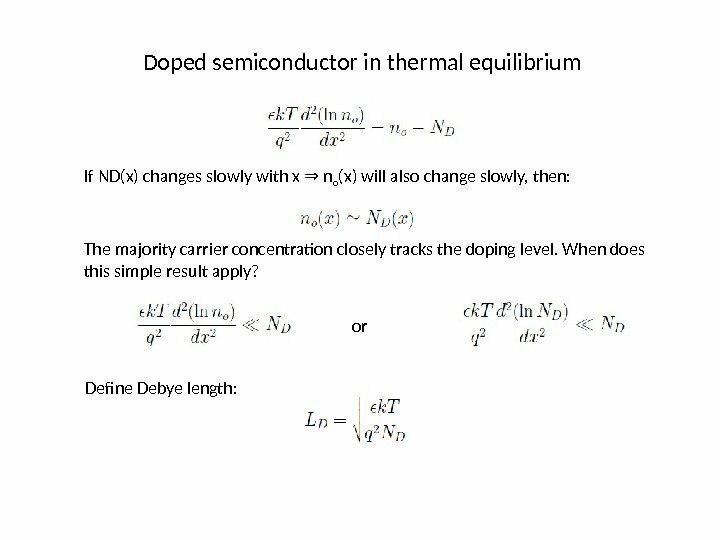 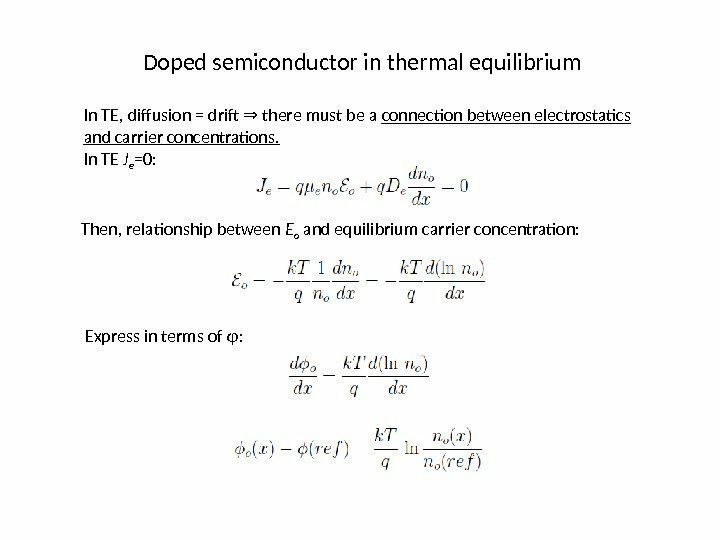 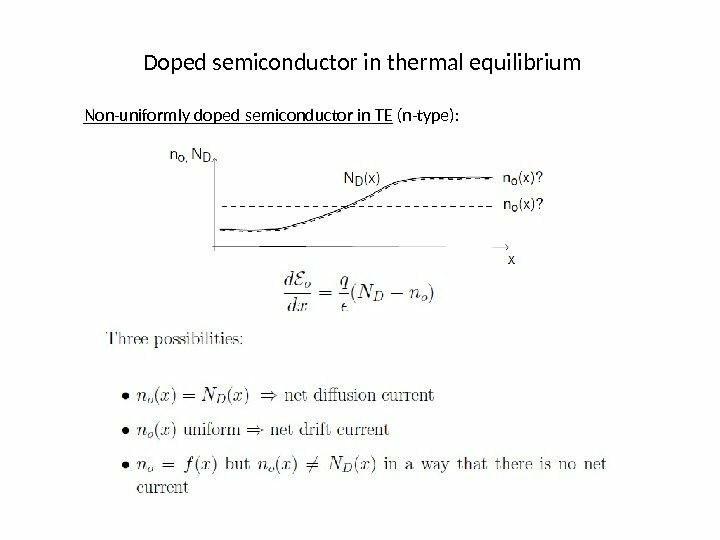 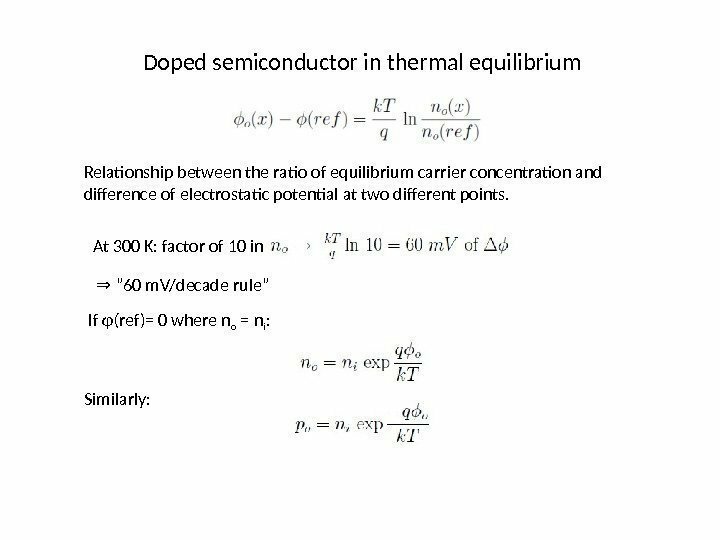 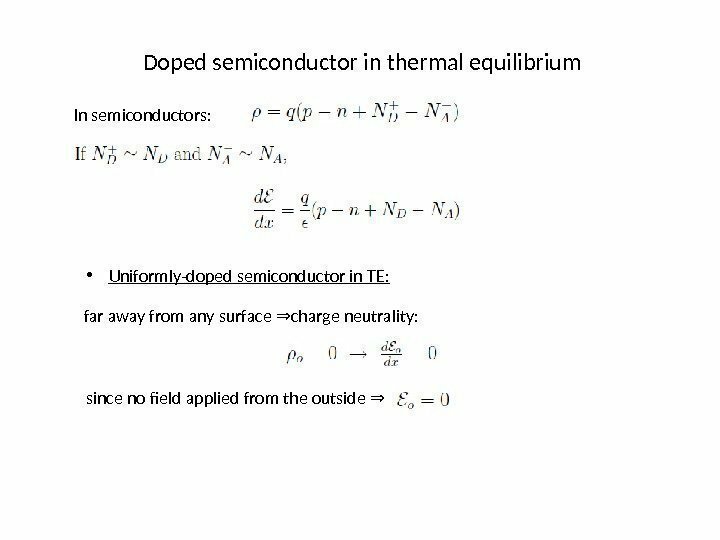 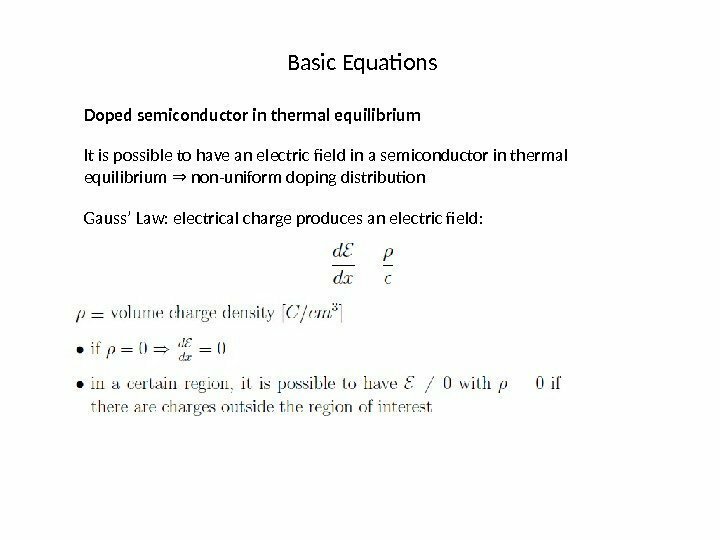 Doped semiconductor in thermal equilibrium Rewrite condition: is change in electrostatic potential over a Debye length For a non-uniformly doped profile to be quasi-neutral in TE, the change in the electrostatic potential over a Debye length must be smaller than thermal voltage. 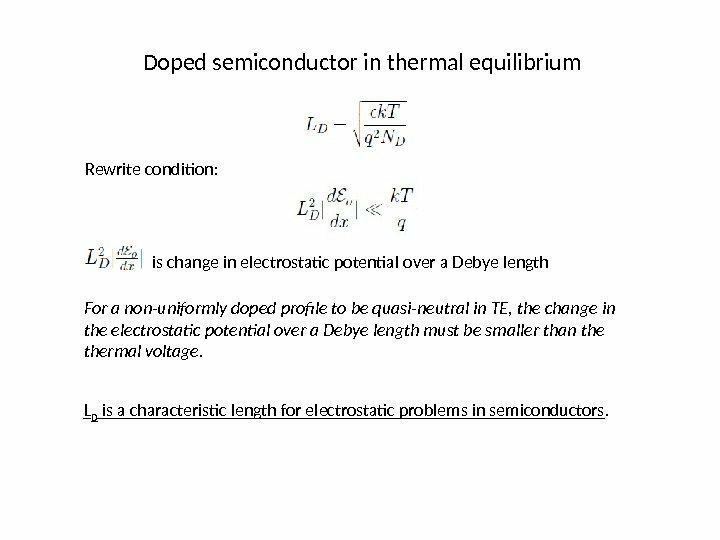 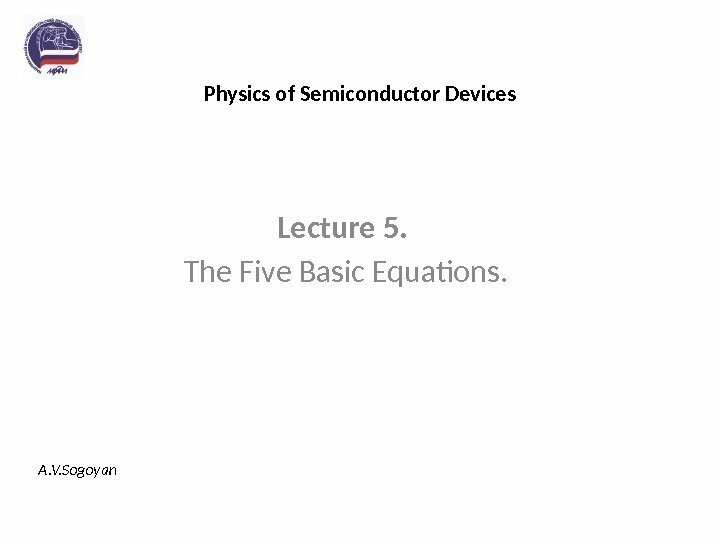 L D is a characteristic length for electrostatic problems in semiconductors. 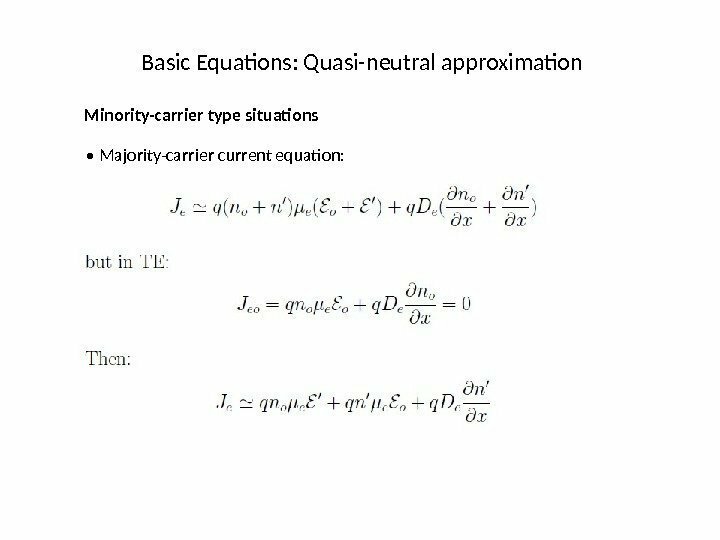 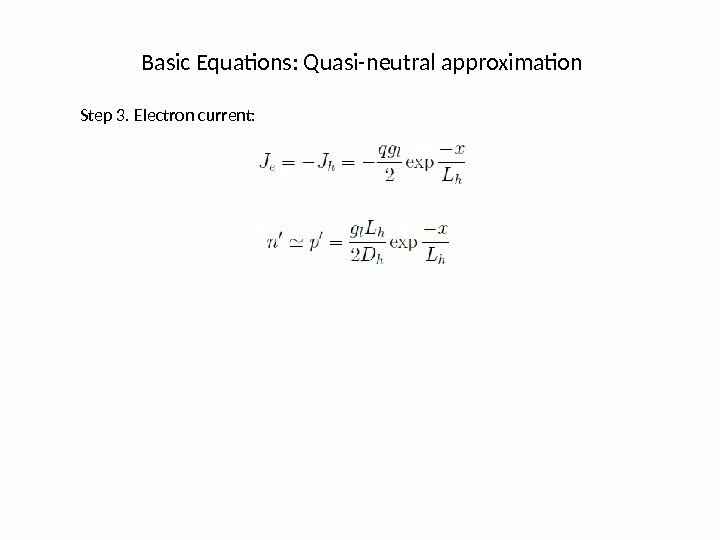 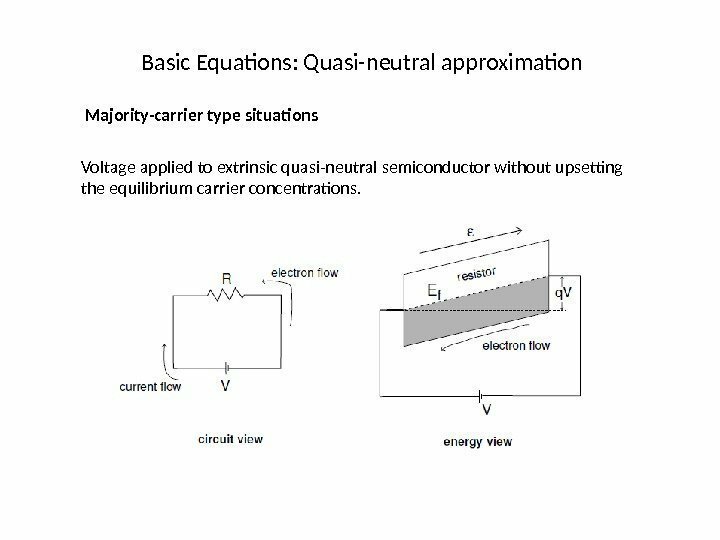 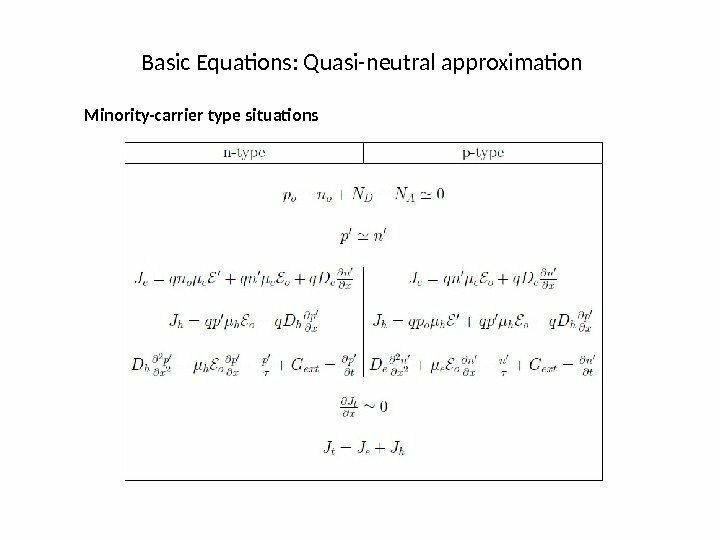 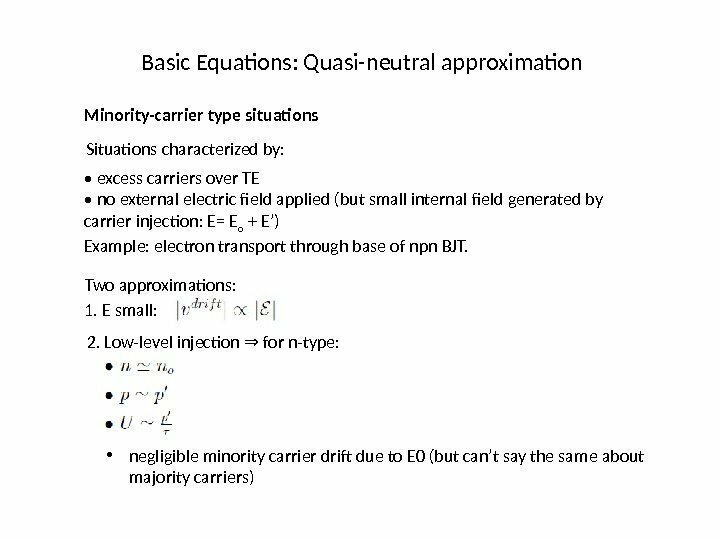 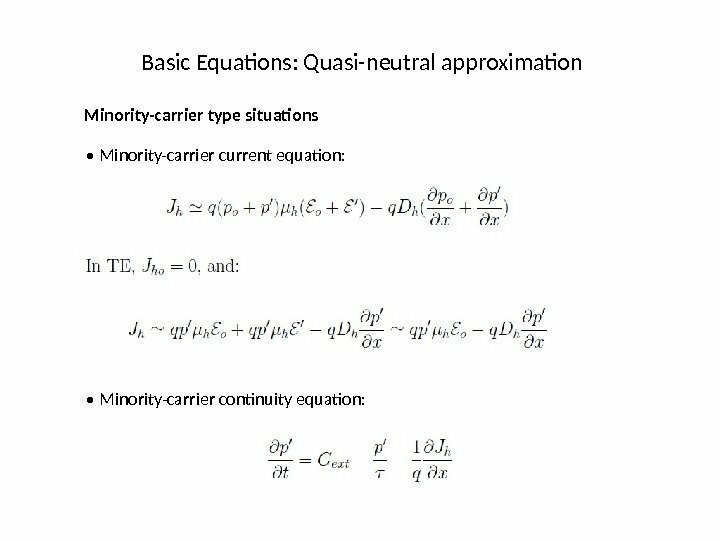 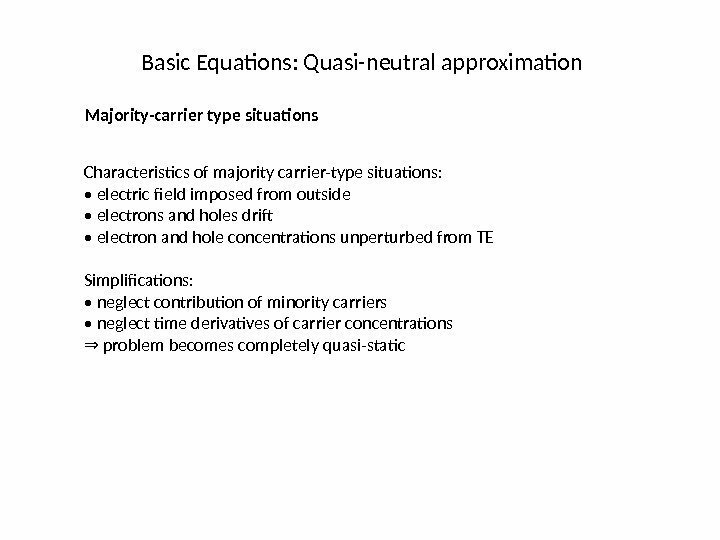 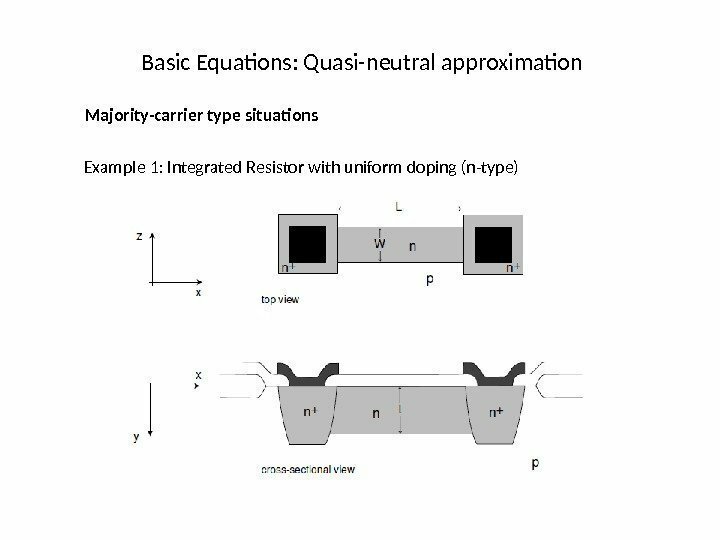 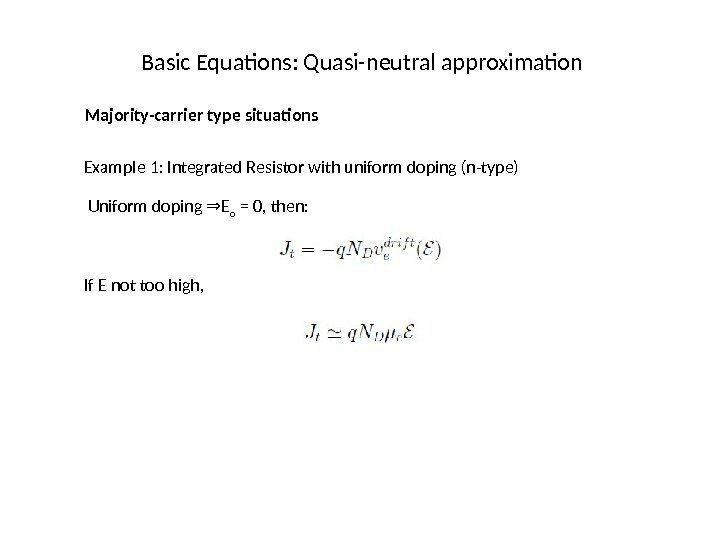 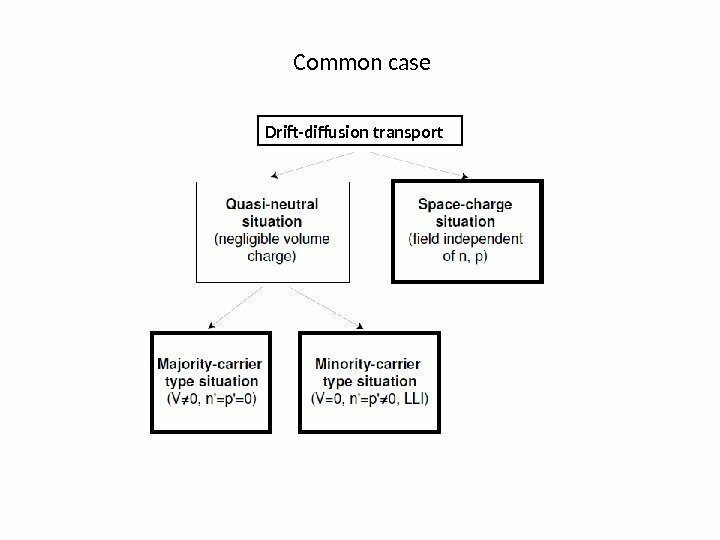 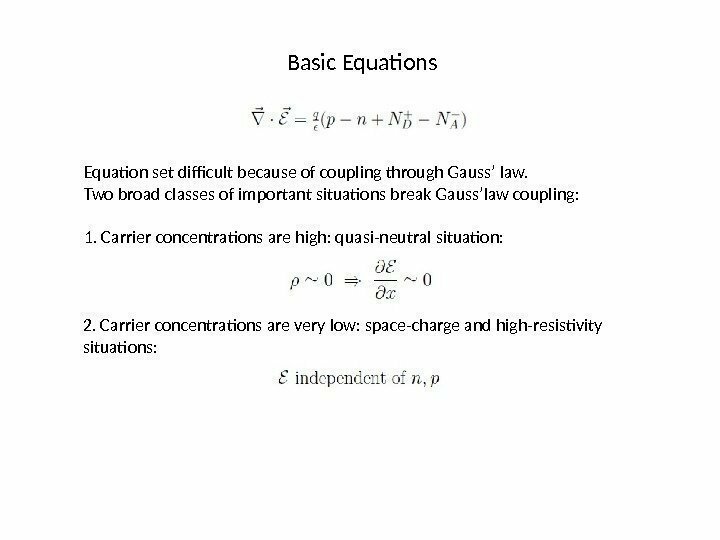 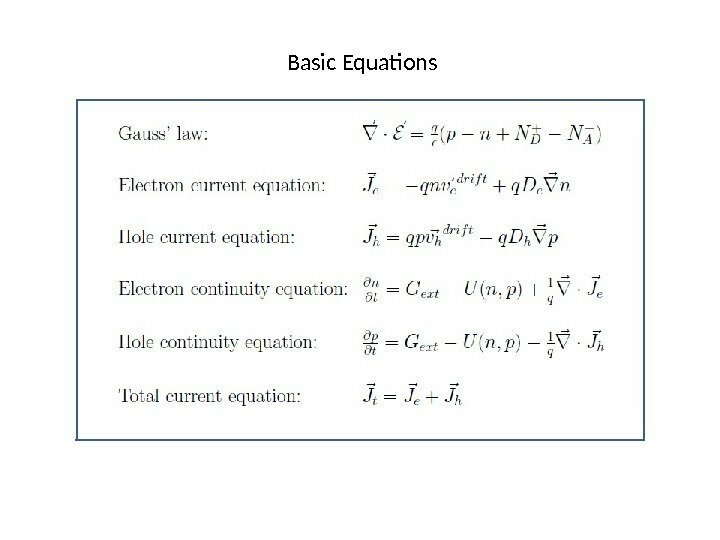 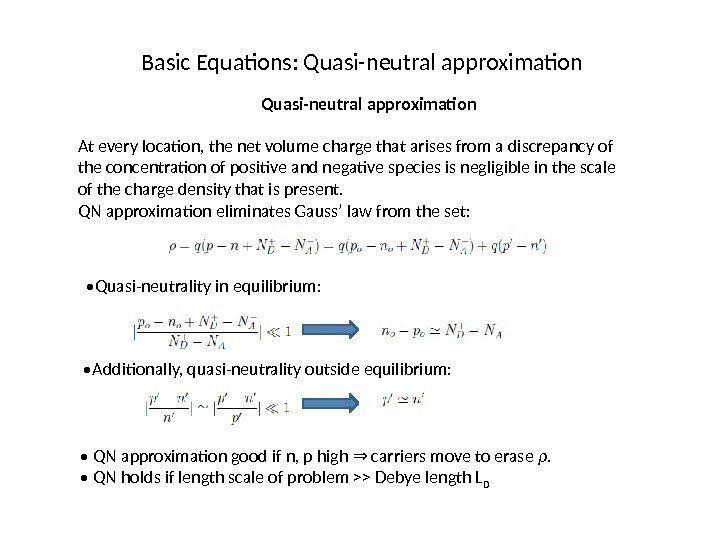 Basic Equations: Quasi-neutral approximation Majority-carrier type situations Voltage applied to extrinsic quasi-neutral semiconductor without upsetting the equilibrium carrier concentrations. 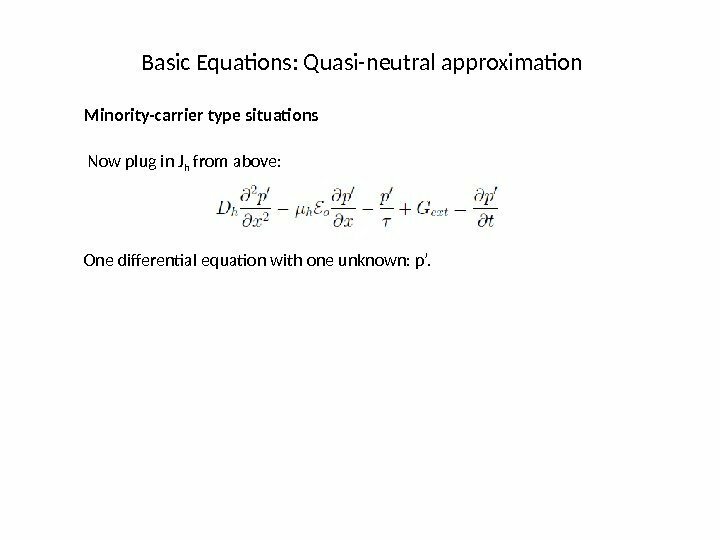 Basic Equations: Quasi-neutral approximation Minority-carrier type situations Now plug in J h from above: One differential equation with one unknown: p’. 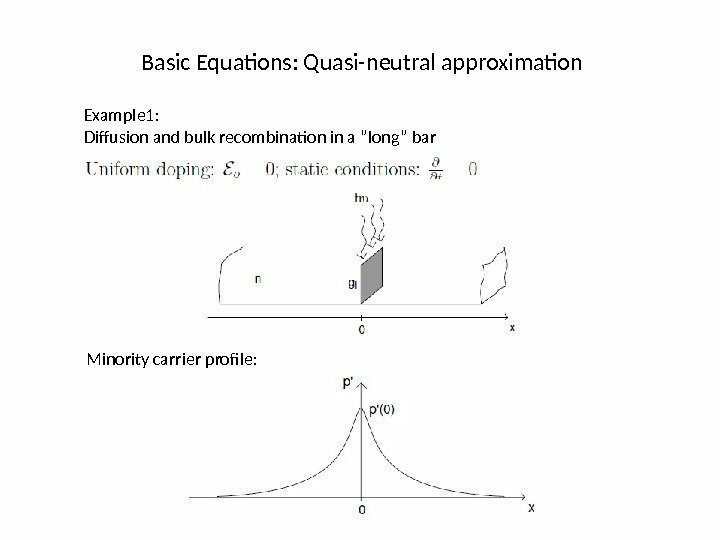 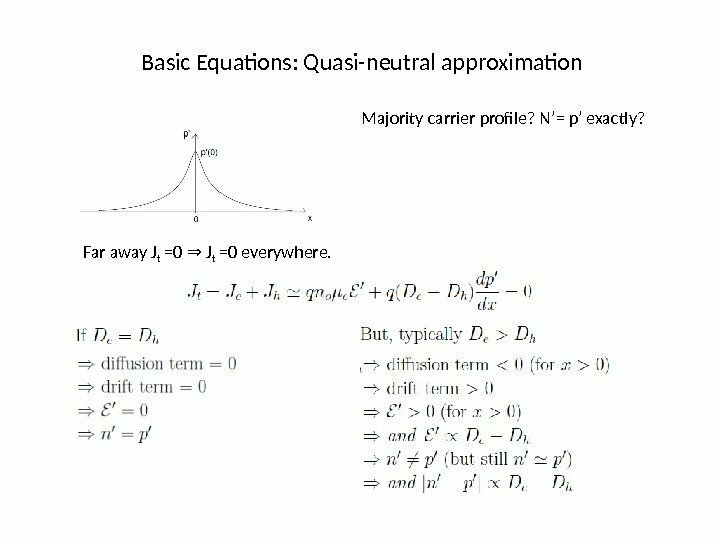 Basic Equations: Quasi-neutral approximation Majority carrier profile? 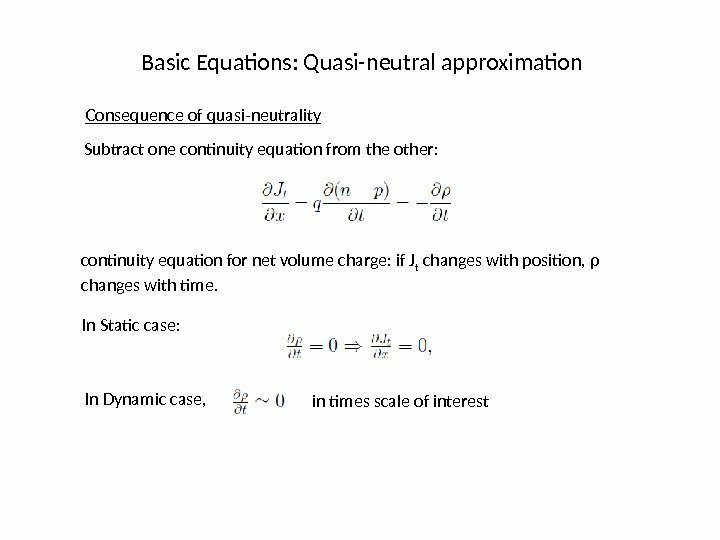 N’= p’ exactly? 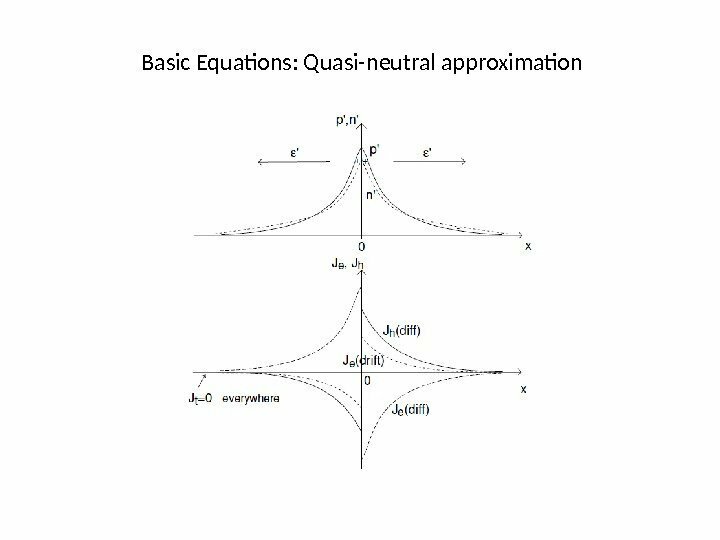 Far away J t =0 J⇒ t =0 everywhere.